“Over 90 gaming machines” spread across four Cotai gaming venues run by Macau casino operator Sands China Ltd were suspended from operation from Sunday, January 20 – with normal operation restored as of Wednesday, January 23 – due to issues relating to “unstable power”. So said Macau’s casino regulator, the Gaming Inspection and Coordination Bureau, in successive emails to GGRAsia in response to our enquiries. GGRAsia approached Sands China for comment on the “unstable power” issue mentioned by the regulator, but had not received a reply by the time this story went online. The four Cotai gaming properties that had equipment affected were – under the classification used by the gaming bureau – Casino Venetian, Casino Plaza, Casino Sands Cotai Central and Casino Parisian Macao, the regulator – also known by the acronym DICJ – told us. Macau’s electricity supply company CEM had told us that it had neither a “power outage” issue on Sunday, January 20 at the four Cotai properties of Sands China, nor received any request for help from the casino operator on the “unstable power” issue identified by the regulator. Two of Macau’s so-called satellite casinos – venues controlled by third parties but using the gaming licence of one of the incumbent operators – had reported power issues on Saturday (January 19) that completely stopped respective gaming operations for a number of hours. 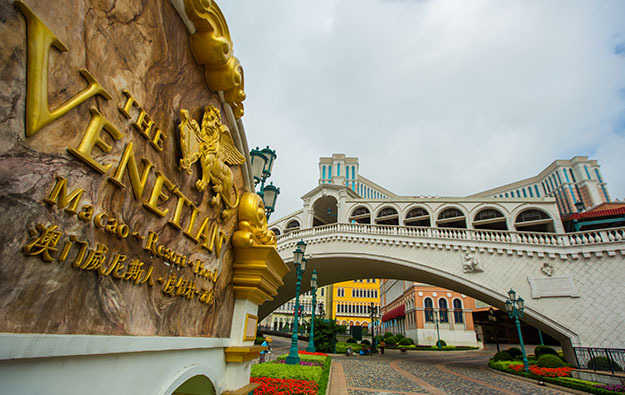 Macau’s Ponte 16 casino resort, located in Inner Harbour district of Macau peninsula, had reported to the gaming regulator a power problem on the gaming floor on January 19, which resulted in a 10-hour suspension that lasted until 3pm. The same day, Casino Golden Dragon, located near the Macau Maritime Ferry Terminal at the Outer Harbour, on Macau peninsula, also encountered a power disruption on its gaming floor, which resulted in a five-hour suspension. CEM remarked to us that it had not detected any power supply issues on January 19 at either Ponte 16 casino resort or Casino Golden Dragon.